Tower Bridge was built 120 years ago to ease road traffic while maintaining river access to the busy Pool of London docks. Built with giant moveable roadways that lift up for passing ships, it is to this day considered an engineering marvel and beyond being one of London’s favourite icons, it is arguably one of the most famous and instantly recognisable structures in the entire world. 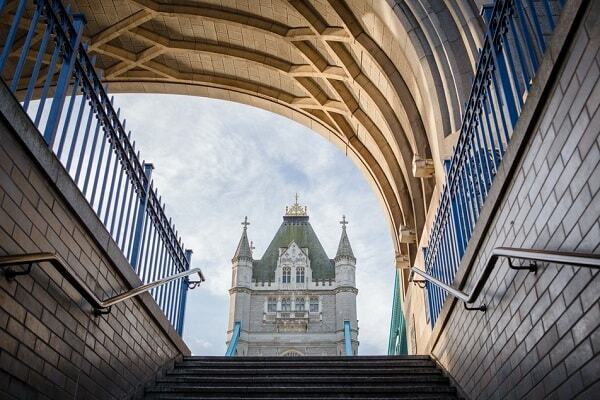 Since 1982, Tower Bridge Exhibition has told the history of the bridge and why it came into existence through fascinating exhibition content. Visitors can also experience the exciting new glass floor and spectacular panoramic views from the high-level Walkways as well as the Victorian Engine Rooms, which house the beautiful steam engines that once powered the bridge lifts. This must-see attraction is the only way to explore the most famous bridge in the world!